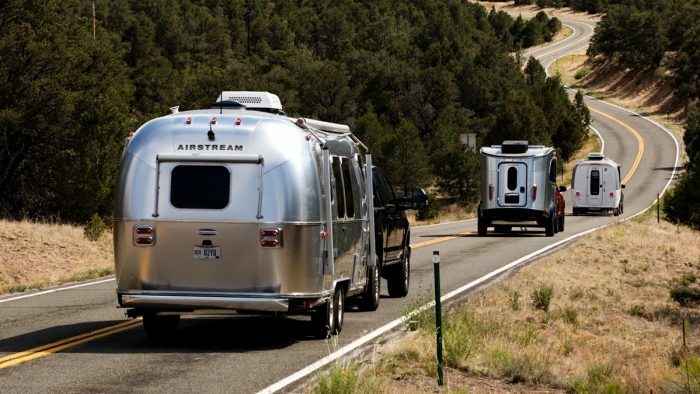 Explore the guide to find some of the best April camping across the United States, as recommended by fellow Airstreamers through Campendium. Centrally located for access to the three John Day Fossil Bed Units, Muleshoe Campground is located on BLM land. 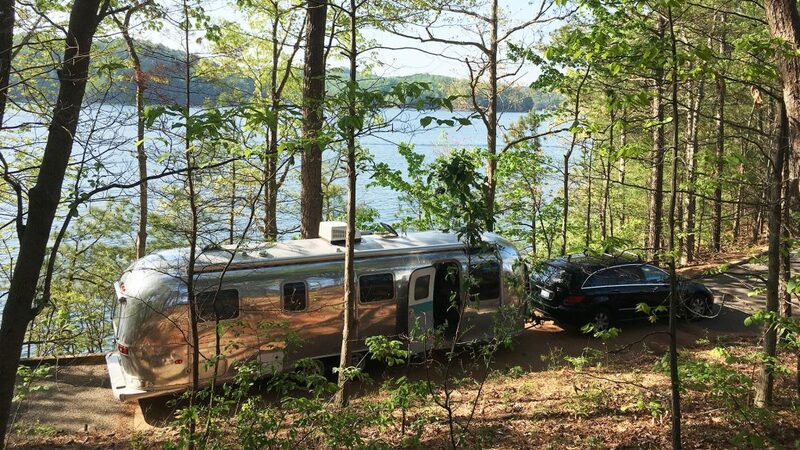 Airstreamers looking to truly unplug can do so in peaceful tranquility. 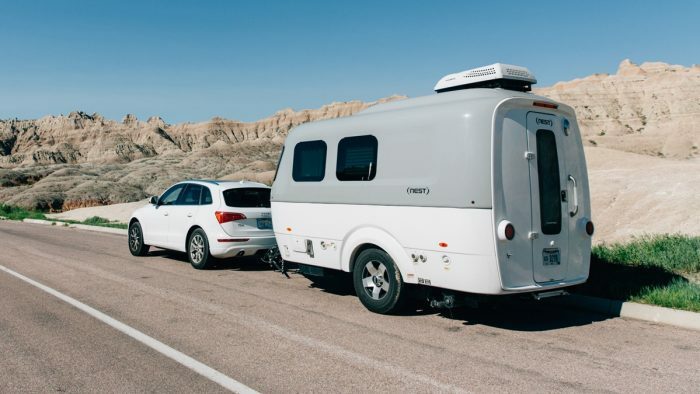 As Airstreamers Meg and Ben put it, “There’s not a lick of cell service.” There are six RV sites with picnic tables and fire pits, and two vault toilets. Large rigs are welcome. 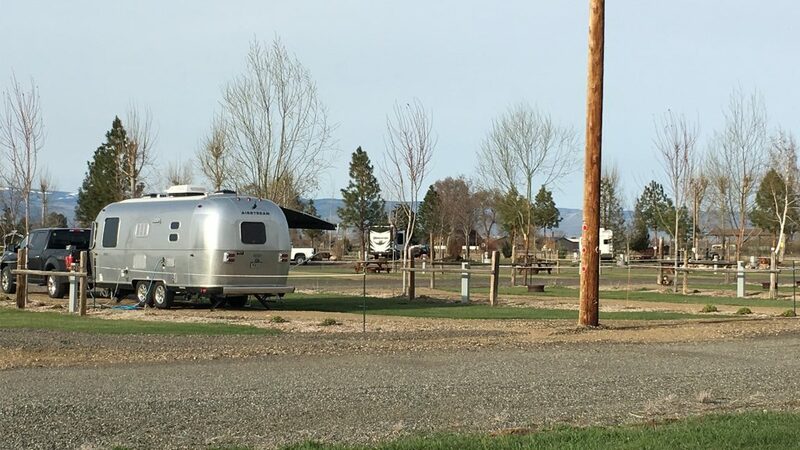 Airstreamer Bruce M said of his stay, “Beautiful views are all around, and there’s absolutely no noise, except for the John Day River and honking Canadian geese.” Bruce M also reports that he found mild weather during his mid-April stay – in the 60s during the day and 40s at night. 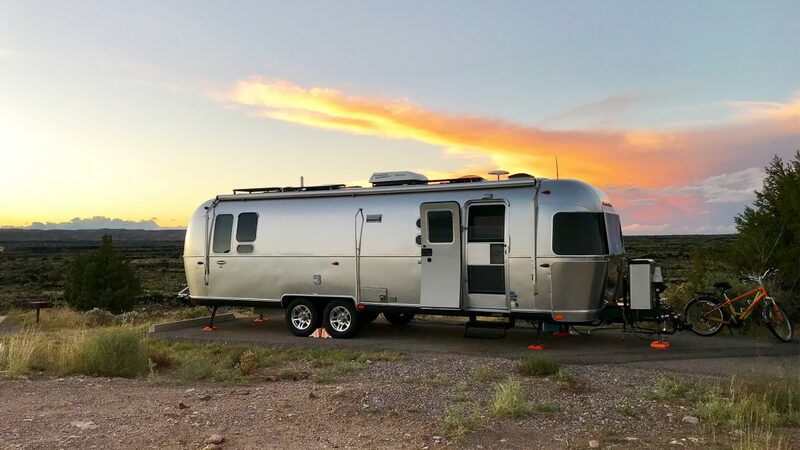 While you can’t put a price on the experience you’ll have at Muleshoe, surrounded by majestic cliffs and mountains and with the river just a stone’s skip away, sites cost just $5 per night ($2.50 with a senior pass). 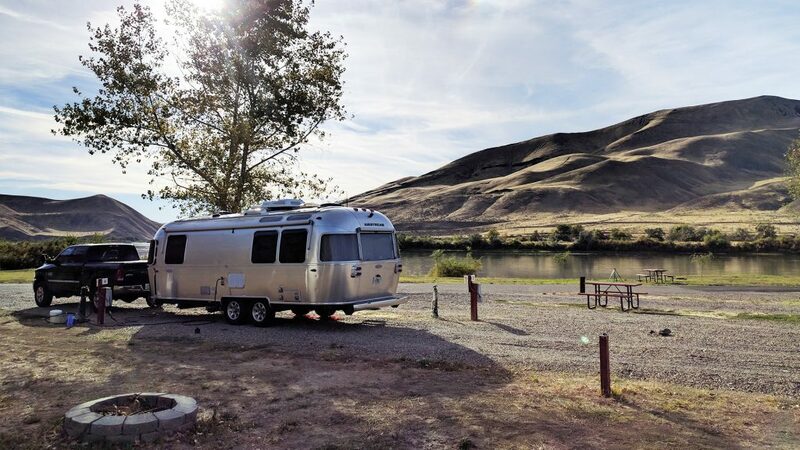 Just outside the small town of Plymouth, Washington, adventurers will find Plymouth Campground, part of the John Day Lock and Dam. This is an explorer’s paradise. The area’s most popular activities include fishing, swimming, boating, water skiing and hunting. At Plymouth, the day use area and boat launch are on a small island on Lake Umatilla on the Columbia River. The island is a high desert environment, covered with tall wild sage and Russian Olive trees. Wildlife is abundant on the island and in the surrounding areas. Mule deer, waterfowl and raptors are commonly seen. 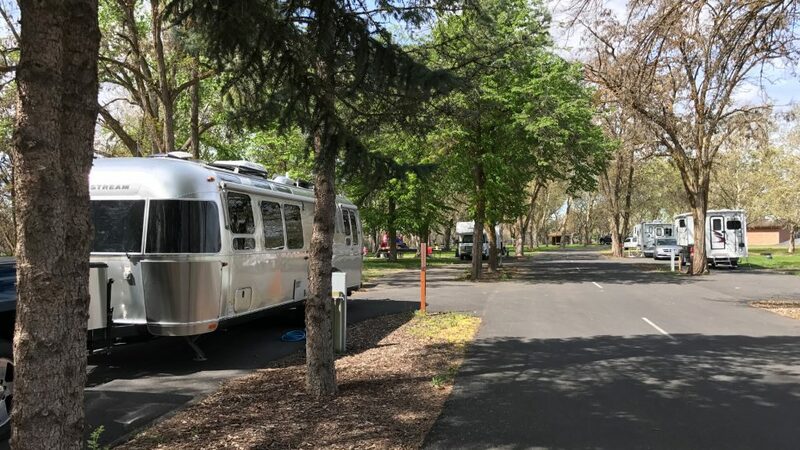 Airstreamer KenneysSeeAmerica describes Plymouth Park as a “quiet, clean, and well-kept campground.” The facility offers 32 sites with electric hookups. Amenities include flush and pit toilets, showers, drinking water, a dump station and playground. The day use area has a swim beach and a boat ramp. Attention anglers! Be ready to snag some of the Chinook, steelhead, walleye, sturgeon, and shad that populate the river. 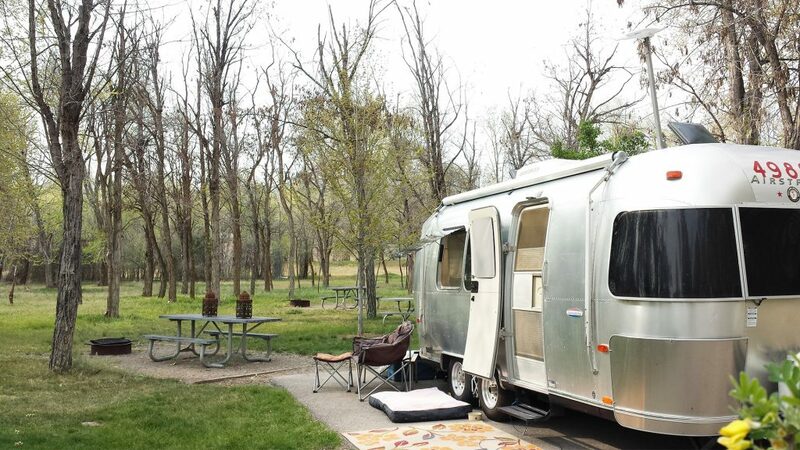 The campground opens in mid-April, so book your stay and plan your trip! History buffs, you’ve found your next spring destination. Three Island Crossing State Park is a history-focused public recreation area in Glenns Ferry, Idaho that allows visitors to explore the site of a Snake River ford on the Oregon Trail. This site was used as a river crossing until 1869 when Gus Glenn built a ferry across the river about two miles upstream. Today, historical interpretive programs let visitors go back in time. But don’t worry! If you’re yawning because history isn’t your thing, Three Island Crossing includes 613 acres of gorgeous land to explore. There are hiking trails, mountain biking trails and disc golf. Keep an eye out for the varied wildlife that call the park home – such as songbirds, deer, eagles, swans, fox, and pelicans. 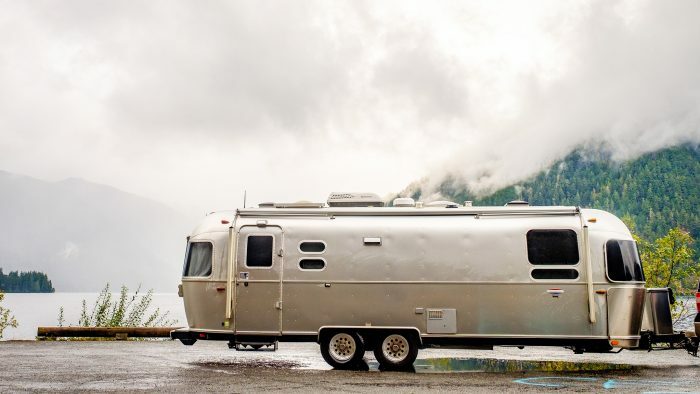 There are 82 serviced campsites, and flush toilets, showers, and dump station are on site. Catfish Junction is reached via a winding, twisting road and sits right on the Snake River. The scenery is beyond beautiful. Here, you will be able to enjoy the outdoors and truly relax in the quiet of the countryside with over 900 feet of river frontage. 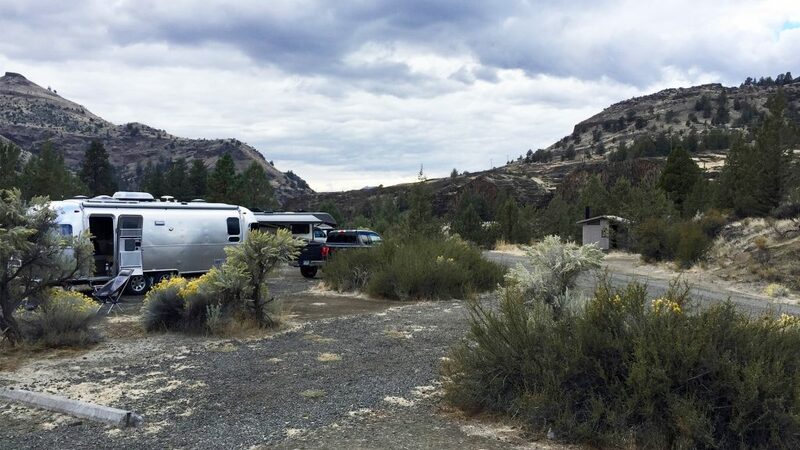 Outdoor activities abound at this unique Oregon campground. 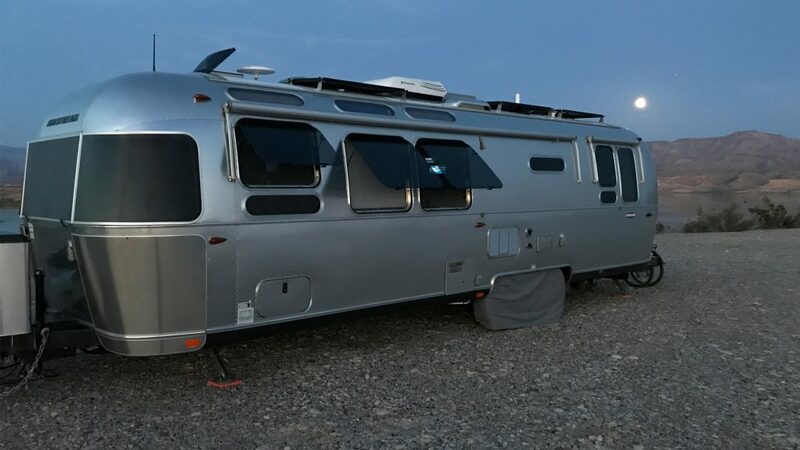 Airstreamers will feel right at home fishing, boating, swimming, tubing the river, or just relaxing and soaking in the wildlife. For those looking for their next tall tale, there is plenty of fishing to be had, with crappie, smallmouth bass and (you guessed it!) catfish calling the river home. The park provides two concrete boat ramps for easy access to the Snake River with vehicle and trailer parking and a fish cleaning station. Other amenities include clean restrooms and showers, a convenience store, bait & tackle, and day fishing licenses, and good ol’ friendly service. 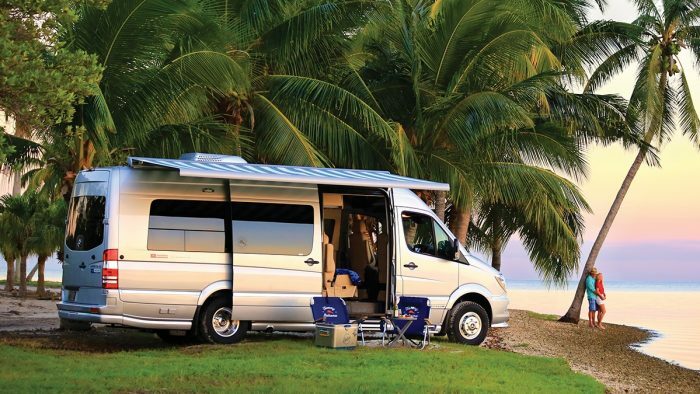 “It doesn’t get any better than this,” says Airstreamer Bob Martel. 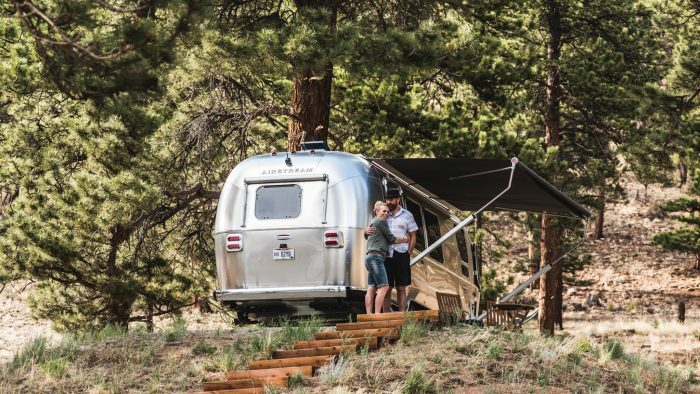 If you’re looking to find a place away from the hustle and bustle, nestled in the valley of some of the most majestic peaks of the Sierra Nevada Range, look no further. Mt. Whitney, Lone Pine Peak and Mt. Williamson rise to the west of the campground. To the east is the Alabama Hills. Beyond lies the Owens Valley and Inyo Mountains Range. 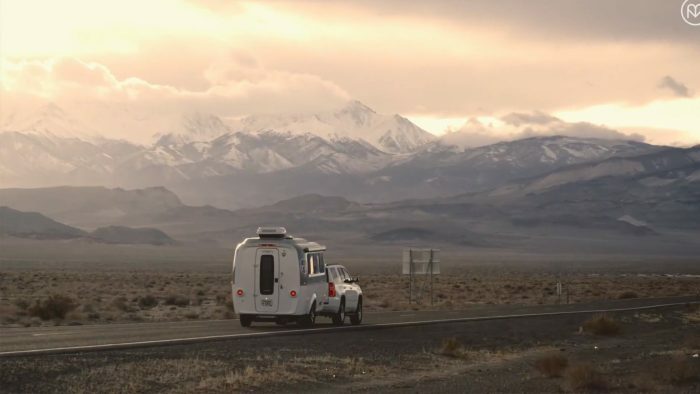 “There are incredible views of the Sierra Mountains, says Bob Martel. As a bonus, Tuttle Creek offers “huge sites (at least 1/2 acre with 100-foot or more separation from your neighbors). It’s super quiet, and you get to stay in one of America's top recreation outdoor areas for hiking, mountain climbing, bouldering, fly fishing, mountain biking, and on and on...” If that hasn’t piqued your interest, did I mention you get all this for just $5.00 a night? Tuttle Creek is home to 83 sites, and there is onsite water and a dump station. Valley of Fires recreation area is located immediately adjacent to the Malpais Lava Flow on its eastern edge, about three miles west of Carrizozo on U.S. Route 380. Approximately 5,000 years ago, Little Black Peak erupted and flowed 44 miles into the Tularosa Basin, filling the area with molten rock. This lava flow is considered to be one of the youngest lava flows in the continental United States. From a distance, Valley of Fires appears as a barren rock, but walk through the nature trail, and you’ll find a plethora of flowers, cactus, trees and bushes typical of the Chihuahuan desert. Wildlife here also includes bats, roadrunners, quail, cottontails, mule deer, barberry sheep, and lizards. Birdwatchers will find Valley of Fires a true paradise, with spottings of great horned owls, burrowing owls, turkey vultures, hawks, gnat catchers, cactus wrens, sparrows and golden eagles. 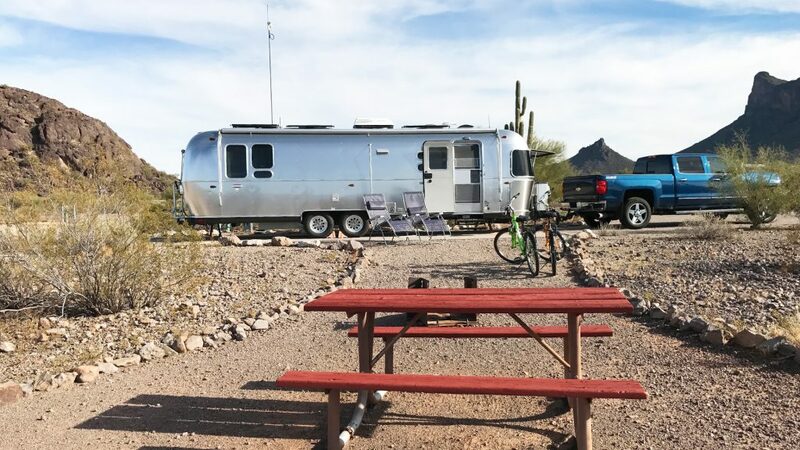 This BLM spot has 19 campsites located on a mesa, and along with the stunning views Airstreamers will find picnic shelters, tables, grills, and potable water at each site. 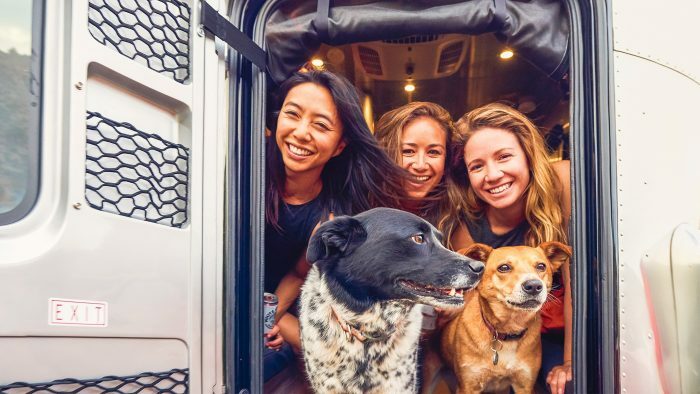 RV electric hookups are available at 14 of the sites. The full facility bathroom is fully accessible and has showers. Vault toilets are available throughout the park. 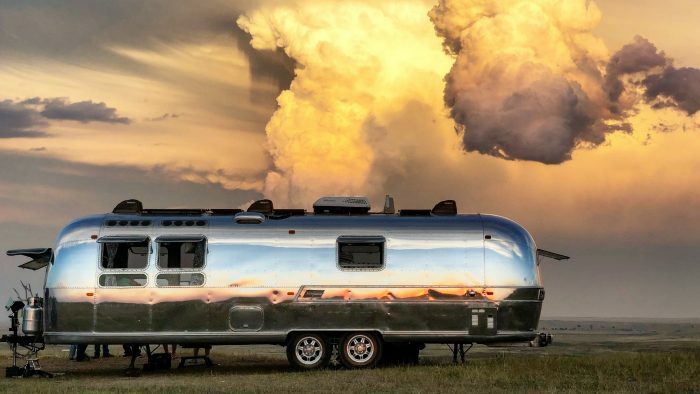 According to Airstreamers Busy Campers, if “hiking, cacti, sunsets and mansion-sized spaces” are your thing, then you’ve found your next camping location. Welcome to Picacho Peak State Park, a gem in the heart of southern Arizona. Visitors can’t miss the prominent 1,500-foot peak that gives the park its name. Both the park and the surrounding area are known for their unique geological significance, varied desert growth and historical importance – the unique shape of the Picacho Peak has been used as a landmark by travelers since prehistoric times. One of the first recordings was in the 1700s by the Anza Expedition as it passed through the area. Today, visitors are still in awe of the peak’s magnificent beauty. Soak in the view as you hike the trails that offer a variety of skill levels and wind up the peak and overlook seas of wildflowers. All campsites have electric, and there is a dump station at the entrance to the campground with potable water. There are also two shower facilities on site for washing away the day’s adventures. 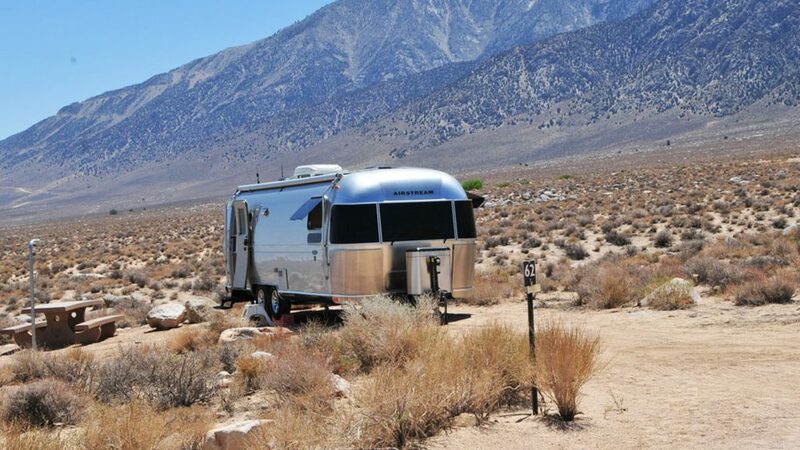 There’s so much more to explore in Nevada than the Las Vegas Strip. 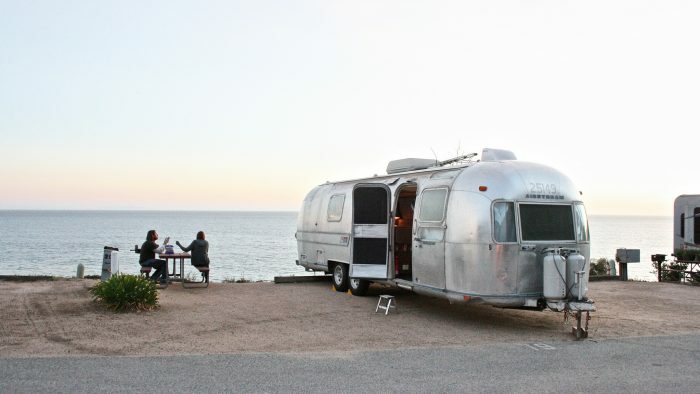 Just a short drive from Sin City, campers will find Stewarts Point, one of America’s most diverse national recreation areas. 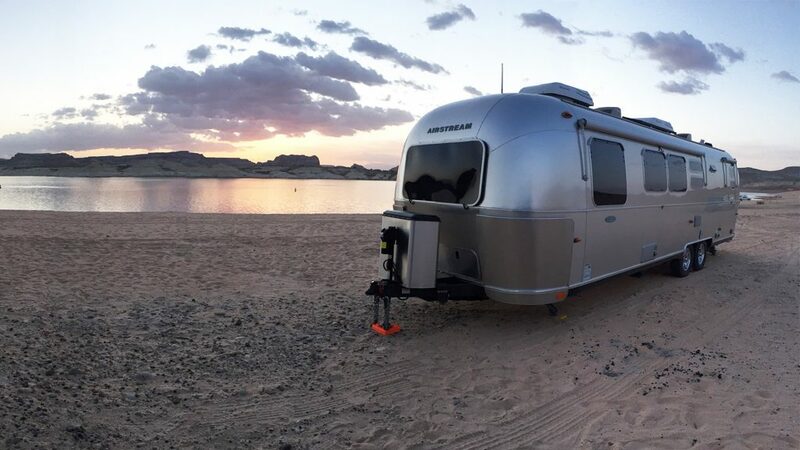 Stewards Point is one of the designated camping areas located on the northwest shore of Lake Mead and offers remote dispersed camping in a large, open, scenic environment. Adventurers can get their fill of boating, hiking, cycling and fishing. 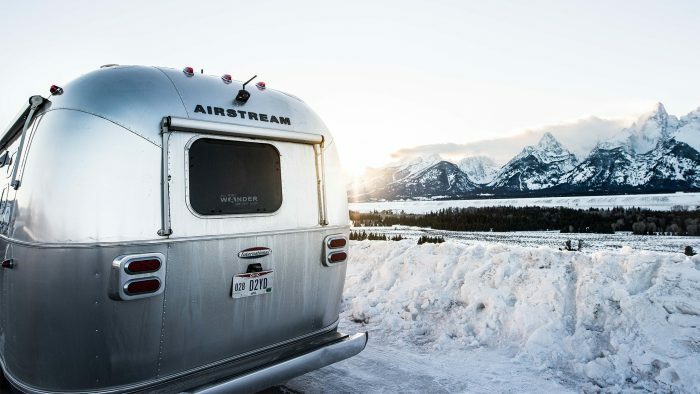 Noted for its striking landscapes and brilliant blue waters, this year-round playground spreads across 1.5 million acres of mountains, canyons, valleys and two vast lakes. From the waters of Lake Mead or Lake Mohave, you’ll be able to soak in sights of the Hoover Dam. Looking for something more low-key? You can always find solitude in one of the park's nine wilderness areas. 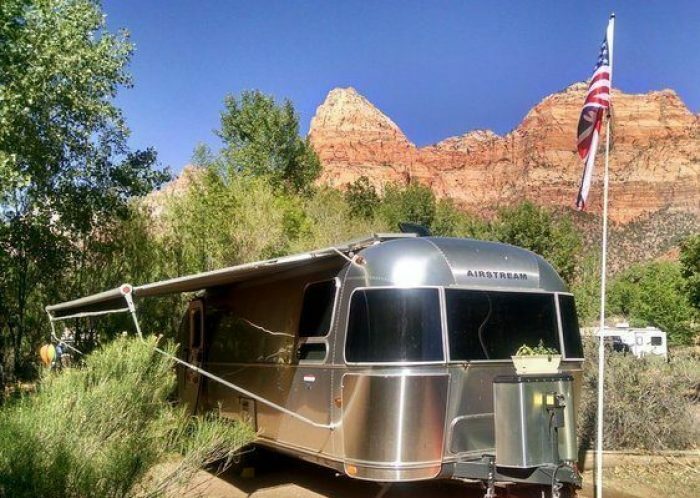 Airstreamer KenneySeesAmerica reports “great views and wide-open spaces.” This Airstreamer had “a great time hiking and biking,” and says that next time, he’ll bring his kayak to explore the expansive blue space. 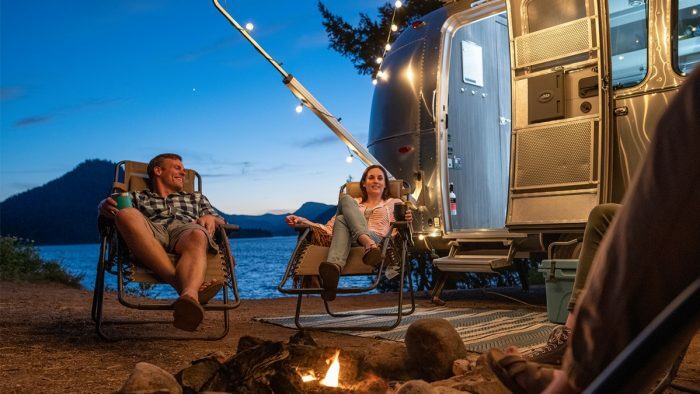 There’s something unique and special about Smugglers Den Campground – it has been owned and operated by the same family for 40 years. 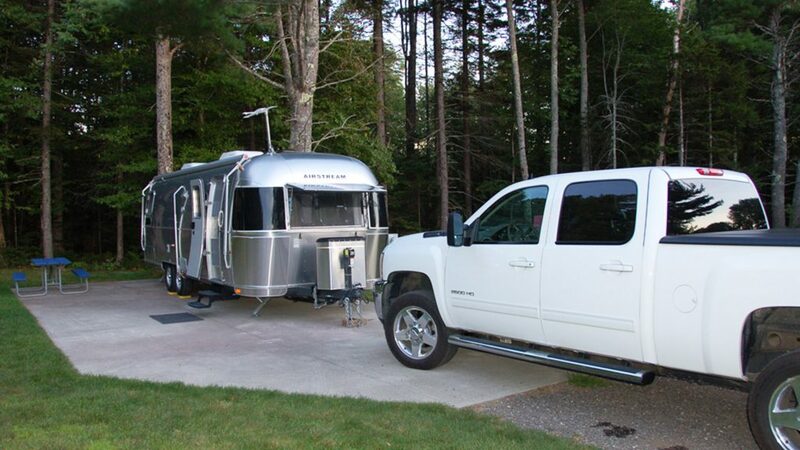 As family put it, “Our goal then and now is to provide our customers with a comfortable and relaxed camping experience on the quiet side of Mount Desert Island.” Mission accomplished. 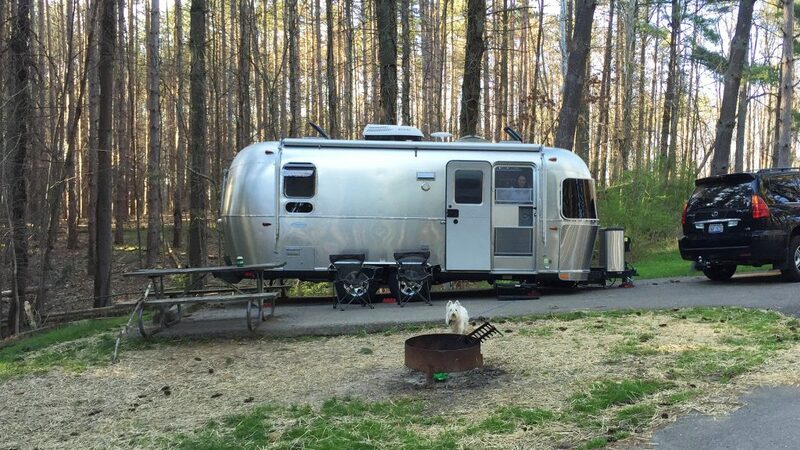 This cozy campground is full of amenities (like a heated pool!) and just a short drive to Acadia National Park and the quaint town of Southwest Harbor. Campers say the feel of Smugglers Den is a bit like an RV resort (with the pool, playground, and sports field), but also like a traditional campground (lots of trees, campfires) with that lovely rustic feel. Two hiking trails that lead from the campground straight into Acadia. The National Park encompasses 35,000 acres and over 40 miles of coastline. 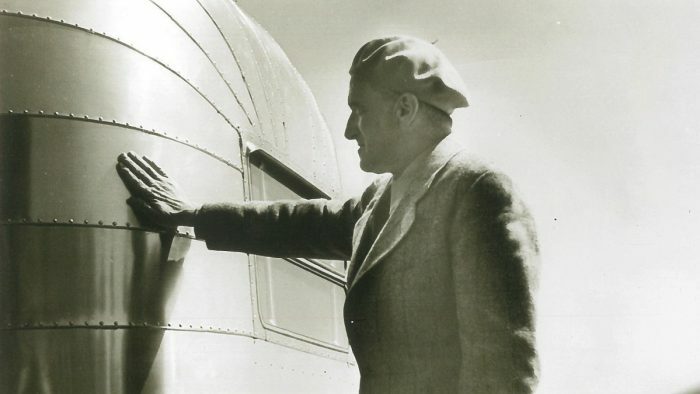 Here, Airstreamers of all stripes will find their perfect adventure – whether on land or water. 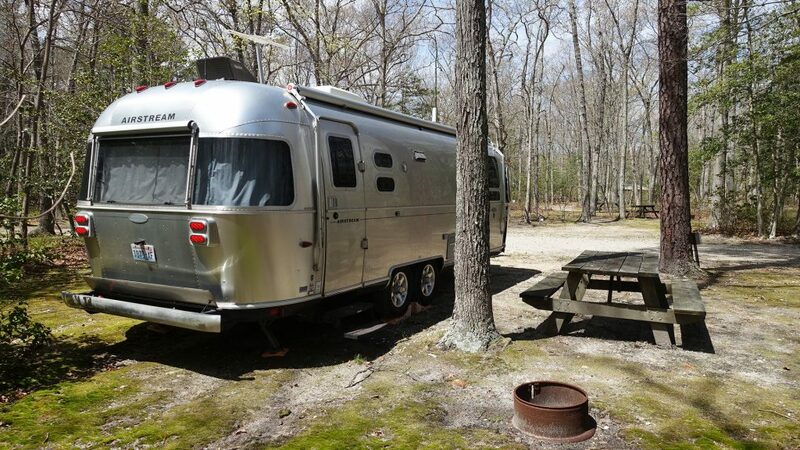 If you’re taking a trip to the Jersey Shore and looking for scenic camping close to the bells and whistles of Atlantic City, this is your lucky day. At Birch Grove, located just 15 minutes from that famed Boardwalk, you’ll find a park that’s blanketed with trees and home to a slew of hiking and biking trails, stocked fishing lakes and a golf course. For those times when you want to spend time far out in nature instead of at the slots, take a trip to nearby Pinelands National Preserve, which spreads over portions of seven southern New Jersey counties, and covers over one million acres of farms, forests and wetlands. This is a genuinely unique location of historic villages and berry farms set amidst lush oak-pine forests, extensive wetlands populated by a diverse range of plants and animals. So, get to exploring! 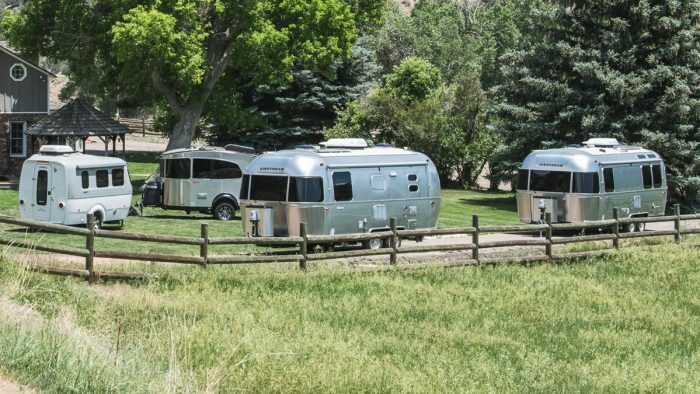 Birch Grove offers Airstreamers plenty of sites that include water, sewer and 20- and 30-amp power. Welcome to Bay Ridge RV Park and Campground, a spacious new park in upper Michigan that sits on over 400 feet of waterfront on Garden Bay. Here, you can bask in all of nature’s splendor by hiking, boating, fishing, kayaking, water skiing or swimming. At the end of a day full of outdoor activities, take in the spectacular views of the sunset and relax with your favorite beverage. If you’re looking to be a bit more social, you can head over to the onsite pub, The Dock Grill and Bar, which overlooks Garden Bay on Big Bay de Noc. Sites here all include water, sewer and electric. Amenities include bathrooms, showers, a laundry facility and access to a boat dock. 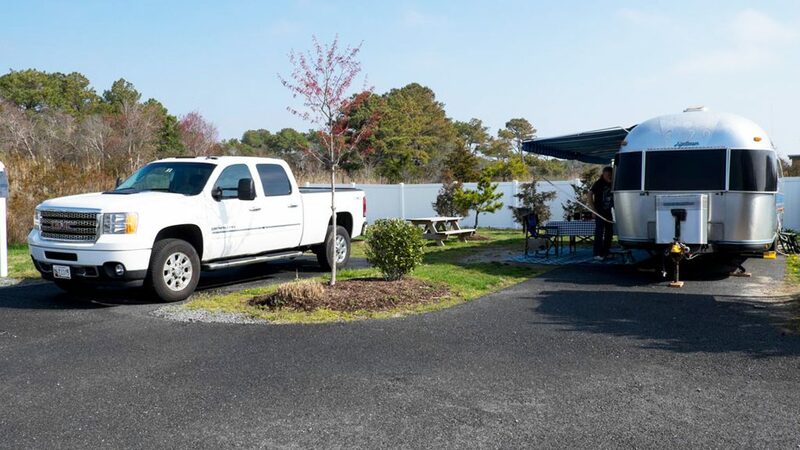 If you find yourself on the eastern shore of Maryland, it’s a must that you stop into Castaways RV Resort. Heck, make it a destination! It’s that good. Take in views of the tranquil Sinepuxent Bay on their private beach. Enjoy the warm spring sun and a refreshing drink from the waterfront Jackspot Tiki Bar. 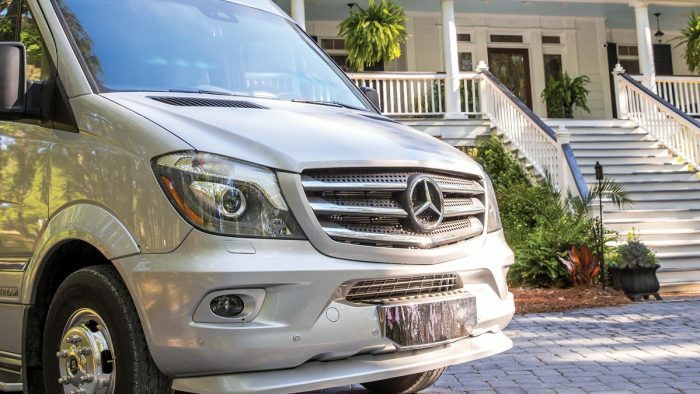 Traveling with kids? Let them explore and try out crabbing, clamming, or fishing off of the Castaways pier. For more adventure, you can spend the day kayaking, canoeing, stand-up paddle boarding or jet skiing. The people at Castaways have thought of everything. Even the canine members of your family will have a great time at the off-leash dog park and private dog beach. 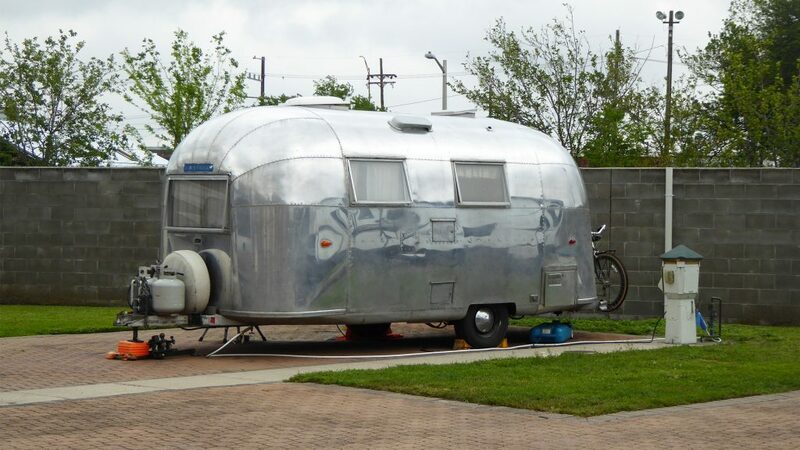 Airstreamer Robin loved her stay there: “We stayed in the Castaways Club area of the RV park. This area is waterfront to the bay between the mainland and Assateague Island. The area has its own private bay front pool along with fishing piers and decks on which to enjoy the view.” All sites are full hook-up, with cable and Wi-Fi included. Located in southeastern Ohio, Hocking Hills State Park is a truly magical place. The hollows and caves that make up the park complex have long attracted humans. Evidence of the ancient Adena culture illustrates that man first inhabited the recesses more than 7,000 years ago, and visitors today will no doubt look at the towering cliffs, bubbling waterfalls and deep, hemlock-shaded gorges with a sense of awe and wonder. While the park is stunning in every season, in Spring visitors can look forward to incredible views of wildflowers spilling across the forest floor. Nature lovers can enjoy an abundance of activities at this state park, from boating and hiking to archery and disc golf. 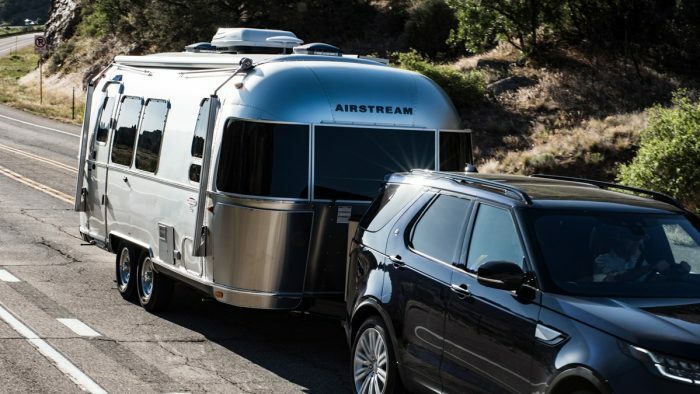 At the campground, solo Airstreamers and families alike will feel right at home. 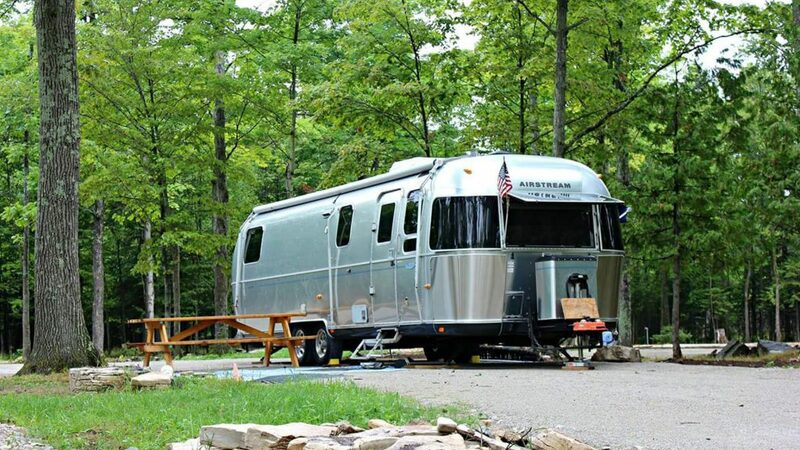 Airstreamer epritch7 described it as “a great campground in Ohio’s best state park.” Hocking Hills has 169 sites, with some offering full hook-ups and others offering electric only. There are two pools, a laundry room and two shower houses. Mile Creek Park is a perfect family vacation site and a fisherman’s paradise. 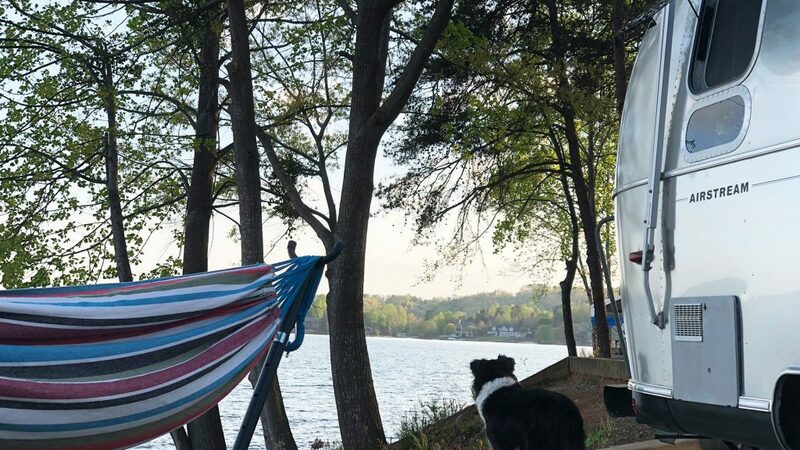 You’ll find this haven just north of the college town of Clemson. Take the family out on beautiful Lake Keowee and play under spring’s warm sun. There are kayaks available to rent for campground users, with paddles and personal flotation devices included. When you’re tired from a day of paddling, rejuvenate in the scenic, natural setting. 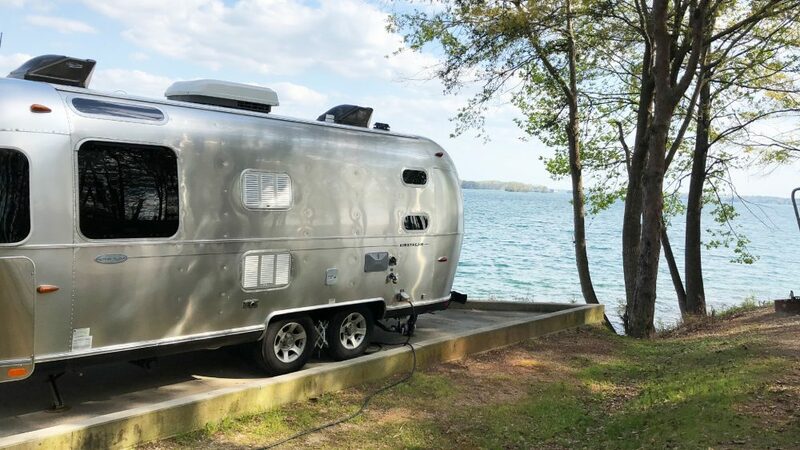 Airstreamer Todd reported of his stay, “We camped out on the peninsula, so we had great southern views of the lake. There are multiple small beach areas for launching kayaks or swimming. 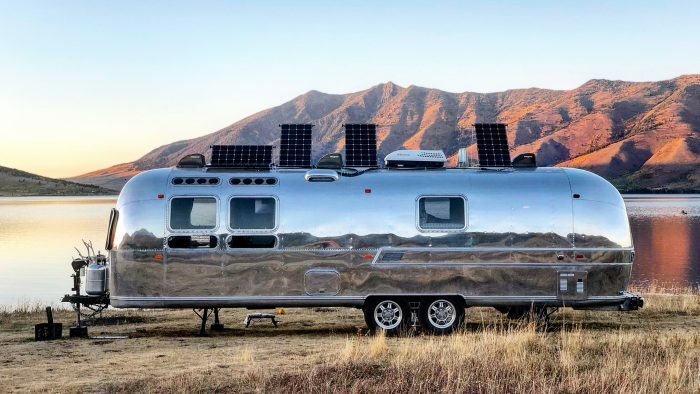 Overall, this place seemed pretty laid back with nearly every site having views.” There are 66 standard electric and water sites, so why not book yours now? Who doesn’t love the beach? Especially in the early days of spring, when the water is bracing, and the sun is warm? For your spring beach trip, consider heading over to Carolina Beach State Park. This state park is as peaceful as it is beautiful, and offers visitors activities like boating, fishing, swimming and hiking. This is a place with a secluded camping area beneath towering trees, and miles of hiking trails that wind through a variety of distinct habitats (not to mention the presence of the Venus flytrap, the world's most famous carnivorous plants). With just one visit here, you’ll understand why Carolina Beach State Park is a popular coastal attraction. There are 69 campsites with no hook-ups, and ten campsites with full hookups (water, electric and sewer). Each site is equipped with a picnic table and grill or fire ring. Drinking water and restrooms with hot showers are located nearby. Book early to secure your spot. If you haven’t heard of Mammoth Cave, you’ve been living under an, er, rock! This beloved national park is home to the world's longest known cave system, with more than 400 miles having been explored. Early Mammoth guide Stephen Bishop called the cave a "grand, gloomy and peculiar place.” Its vast chambers and complex labyrinths certainly earn that mixed moniker. 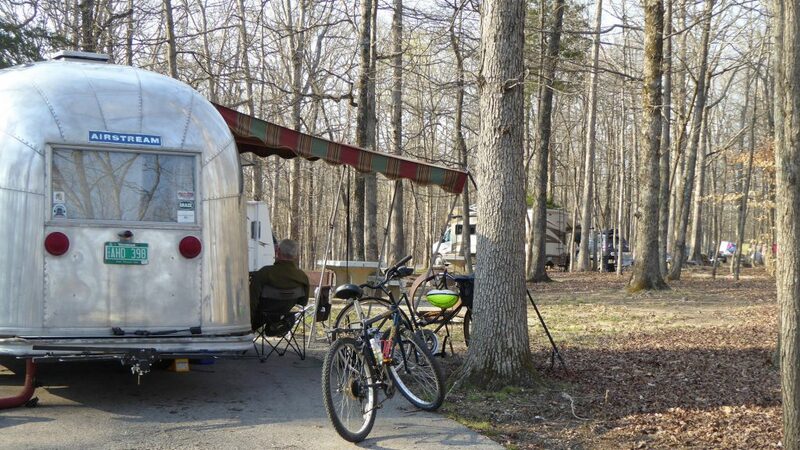 When you feel like doing some spelunking, head over to Mammoth Cave Campground to get set up and settled in before you hit the caves. 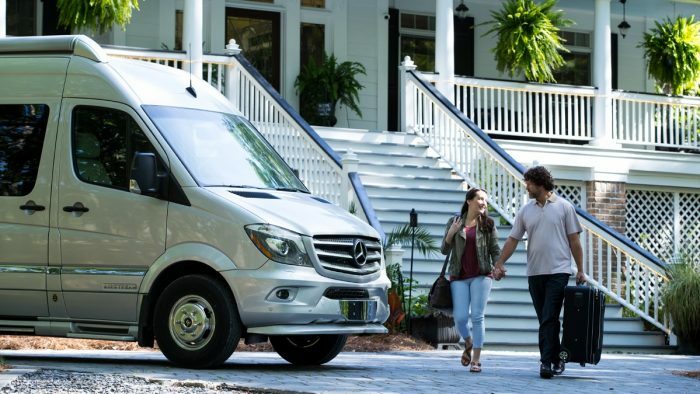 Here, visitors will be greeted by sites densely separated by trees, a shuttle to the Visitor’s Center where the cave tours begin, and a plethora of hiking and biking trails. 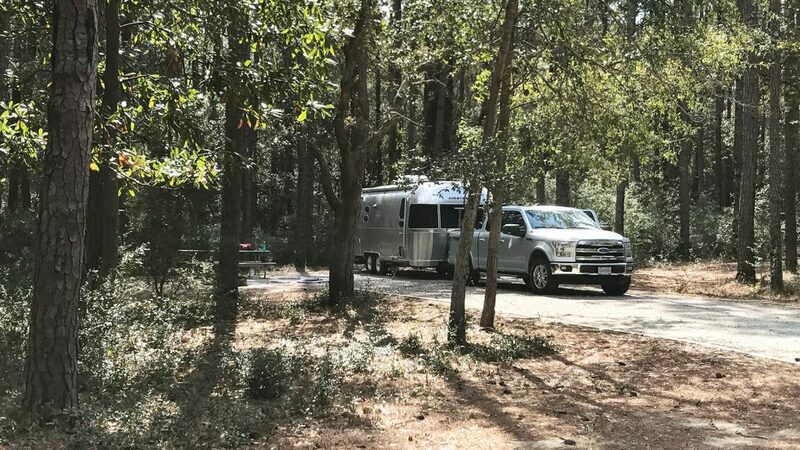 Keep an eye out for curious wildlife, as Airstreamer KennySeesAmerica said that “in the mornings and evenings, deer walk through the campground.” Sites don’t offer hook-ups, but there is water available and a dump station, and the camp store has hot showers.